I've actually been waiting all week to share some of these with you! I'm so so excited for Spring and all of the colors and scents and patterns and projects that go with it! 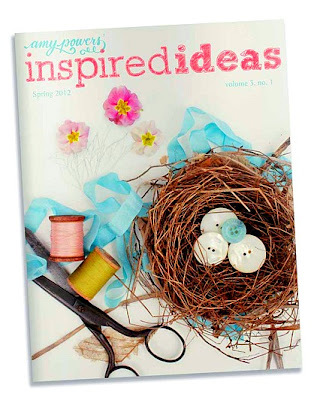 To start, I have to share The Spring issue of Inspired Ideas by my dear dear friend Amy Powers! Amy is one of my all time favorite people! And I consider myself so lucky to be able to count her as a friend. If you don't know of Amy...you must pop over and visit her candy colored, Love filled world! She makes hearts happy! Oh, and you can purchase past issues of Inspired Ideas as well! They are beyond amazing! And I'm not just saying that because we've contributed, I mean it! Non stop eye candy and projects to fill your life with sweetness, magic and fun! When I first came across this collection I felt as if I had been waiting for them or already owned them, know what I mean? The concept and colors and clean yet sweet feel. The name even makes me smile! 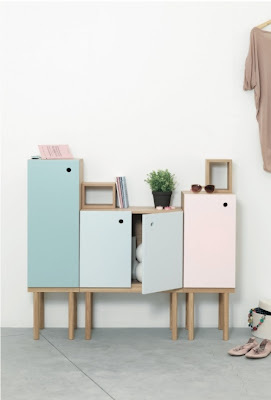 The "Collage Cabinet" by Sigrid Strömgren. LOVE it all to bits! 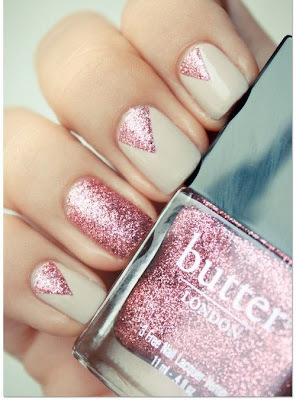 I know I'm not the only one totally in love with Butter London nail lacquers. Their name alone is cute! And I love their square bottles. I have so many of their polishes on my Springtime wishlist, and at the top of the list is "Rosie Lee". Pink glitter polish!... 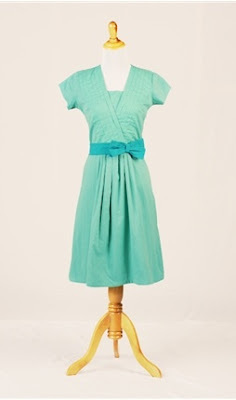 and look at it paired with that creamy taupe! Classic meets Glam! I LOVE it! 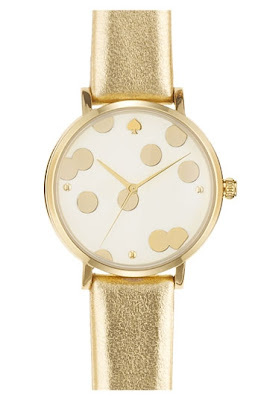 I am so so loving this watch by Kate Spade! I'm not really a watch person, and by not really I mean not at all. But as soon as I saw this I imagined glancing down at my wrist throughout the day. Loving those floating gold "polka dots". I really like the dress. I find myself drawn to that style alot. The watch is so nice too. My favorite watch is my Betsy Johnson watch. It's white with rainbow color stones around the face and the numbers are in funky shape and sizes. 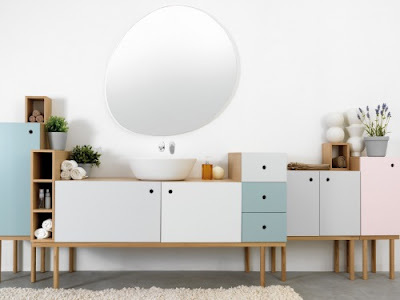 those collage cabinets are SO gorgeous! i just did a little roundup of my favorites for March on my blog and i love seeing everyone else's little collections! Wow, those cabinets are stunning! I wonder if I can DIY something like that.